The much loved Trócaire box, which is a fixture of many homes during Lent, has gone digital. However, the traditional cardboard collection box has not been abandoned and is also available. The new Trócaire box mobile app is the first charity fundraising mobile app in the Republic of Ireland and was launched this week as part of Trócaire’s annual Lenten campaign. This year funds raised will go to families affected by drought and hunger in some of the world’s poorest communities, notably Ethiopia. This is the 42nd year that the six-week campaign has been run and it raises almost €8 million annually. 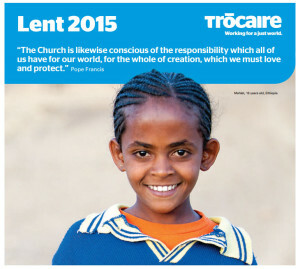 “The Trócaire box is synonymous with Lent for thousands of households across the country. Every year people show extraordinary generosity and solidarity with the world’s poor and donate to us using their box,” said Éamonn Meehan, Trócaire Executive Director. “We hope our new mobile app will make the fundraising experience even more engaging, fun and above all, simple for people who are particularly active mobile phone users and want to support our work overseas,” he added. The new app (application suitable for mobile phones, tablets and other electronic devices) was built in partnership with JustGiving. This company specialises in facilitating giving via the internet. The new mobile app is an online collection box, for the easy collection of donations from friends, family and colleagues around the world according to Éamonn Meehan. It is available to download for free on iOS and Android. 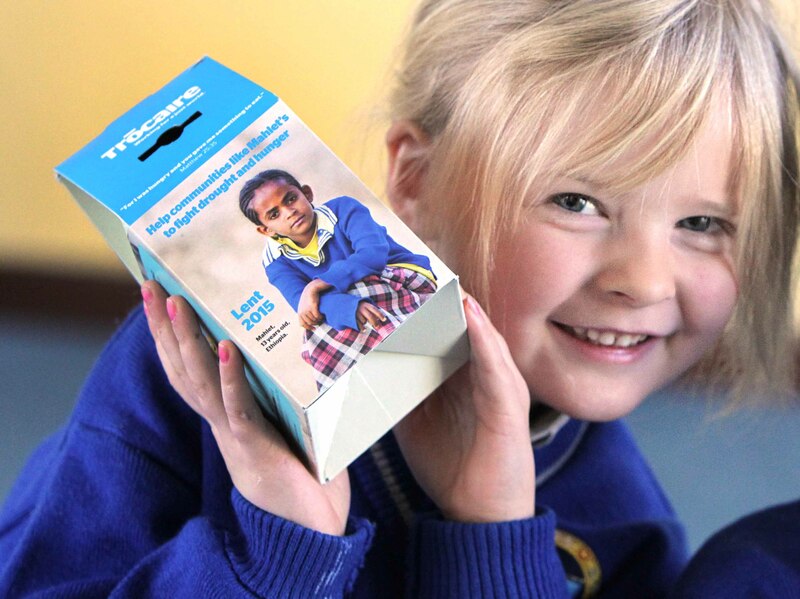 It recreates the familiar experience of the Trócaire Lenten Box, but it also enables fund-raisers to personalise their own online box. This year the Trócaire campaign highlights the challenges facing rural communities in Ethiopia. They are struggling to produce food as a result of rising temperatures and almost constant drought according to Trócaire which helped 3.4 million people in programmes in over 20 countries last year. “With the support of people in Ireland, we are hoping to increase that figure even further this year,” said Éamonn Meehan. The company responsible for the technology JustGiving expressed delight in partnering with Trócaire to harness the power of social networks to support overseas work. 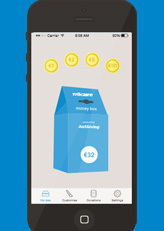 “The Trócaire box app has been developed to create a highly personalised and social experience that will help Trócaire’s fundraisers reach more people and raise even more money to help families affected by issues relating to drought and unreliable rainfall,” said Anne-Marie Huby, co-founder of JustGiving. The app is available worldwide and in English, and as well collecting donations, it also facilitates setting challenges and fundraising targets, such as fasting or giving something up, to inspire more donations. Another bonus is that people can ‘share’ their Trócaire box with friends on social media, thank donors for their support and keep them updated with their progress. Those using the app can also engage directly with Trócaire throughout the fundraising period and see the impact of their donations through regular updates from the charity. The campaign runs from Ash Wednesday 18 February to Easter Sunday 5 April 2015. JustGiving is a platform for giving, and has enabled over 22 million people to raise €2.7 billion for over 13,000 charities since launching in 2001.